Frankford Arsenal - Ammo Box #509, 243-308 50 Ct.
See-through plastic ammo boxes make storing and identifying your reloaded ammunition a snap. Available in 2 different colors and twelve different sizes to fit most calibers. Our system allows you to get organized and stay organized! 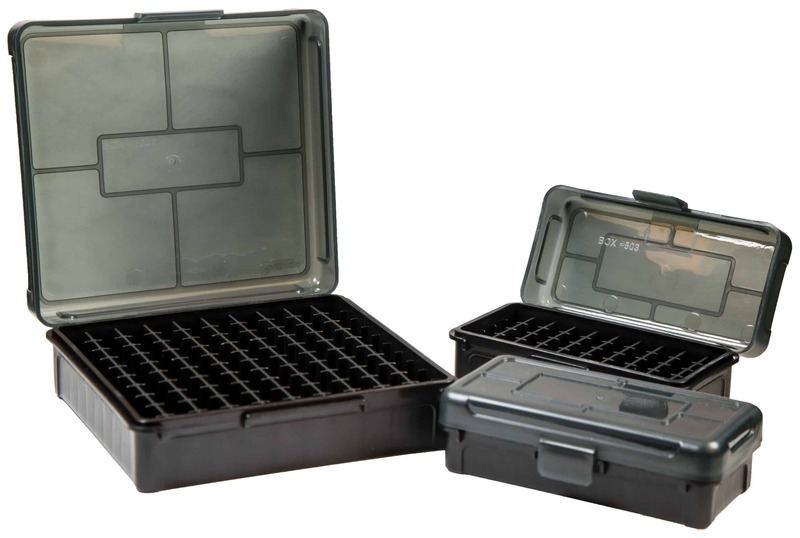 These ammo boxes fit a full variety of calibers, often many more than the description allows for. Frankford Arsenal - Ammo Box Hinged #505, .223 Rem 50 Ct.
Frankford Arsenal - Ammo Box Hinged #509, .243-.308 50 Ct.
Frankford Arsenal - Ammo Box Hinged #511, 300WM/.338LM 50 Ct.
#1 - (Hole Diameter: 0.31, Hole Depth: 0.3) Calibers: 25 ACP Frankford Arsenal Perfect-Fit Trays are sized for individual calibers or a family of calibers for a precise fit. Perfect-Fit trays are an essential tool for reloading efficiency and organization. Each tray holds 50 cases. A lip around the outside edge provides a sure grip on the tray. 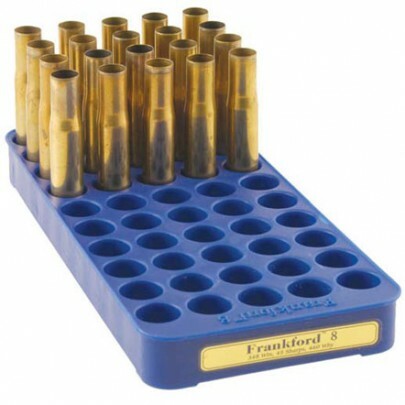 #5s - (Hole Diameter: 0.486, Hole Depth: 0.4) Calibers: 45 ACP Frankford Arsenal Perfect-Fit Trays are sized for individual calibers or a family of calibers for a precise fit. Perfect-Fit trays are an essential tool for reloading efficiency and organization. Each tray holds 50 cases. A lip around the outside edge provides a sure grip on the tray. #9 - (Hole Diameter: 0.665, Hole Depth: 0.65) Calibers: 470 Nitro, 50-70 Government, 500 Nitro Frankford Arsenal Perfect-Fit Trays are sized for individual calibers or a family of calibers for a precise fit. 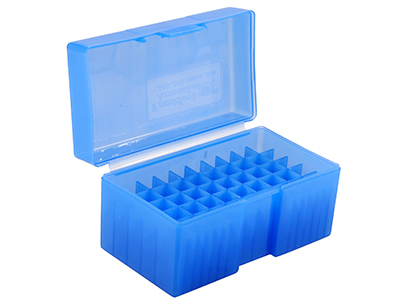 Perfect-Fit trays are an essential tool for reloading efficiency and organization. Tray number 9 holds 45 rounds. A lip around the outside edge provides a sure grip on the tray. 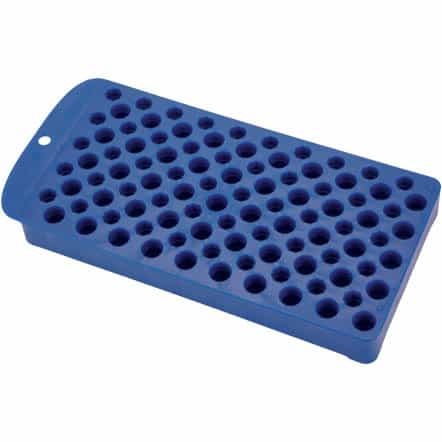 The Universal Reloading Tray is highly versatile. It can be used with a wide variety of rifle catridges from .17 caliber up to .458 caliber. Also works well for handgun cartridges 9mm to 500 S&W. 50 round capacity. Conveniently holds brass during different stages of reloading process.